The Vol. 1, No. 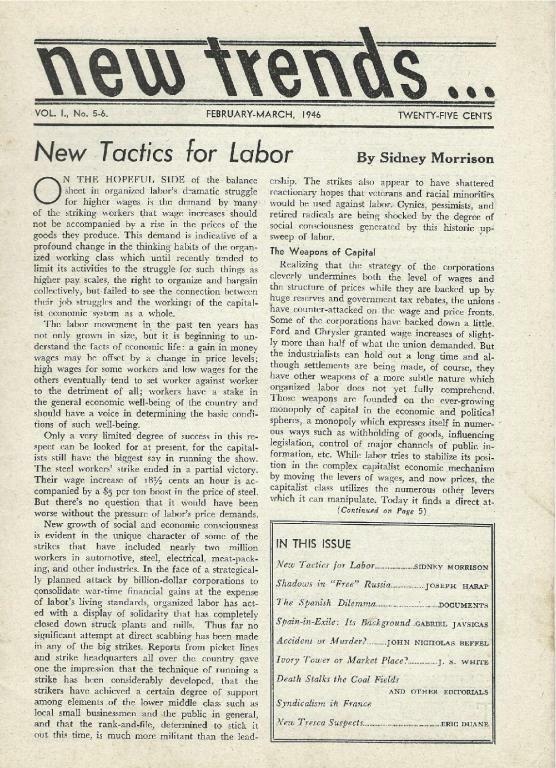 5-6 (February-March 1946) issue of New Trends, an anarchist publication produced out of New York City from September 1945 until August 1946. -President Truman in conflict with "people's representatives"